If you have been charged with a crime or received a ticket in West Bloomfield, you should never go to Court on your own. Do not gamble your outcome against the strong obstacles you will face from prosecutors, West Bloomfield police officers, detectives, Michigan State troopers, the Oakland County Sheriff's department, expert witnesses, 48th District Court and/or Oakland County Circuit Court Judges and the deep and endless resources of the criminal justice system. Make no mistake about it - the Judges of the 48th District Court are very tough and conservative. Having confident lawyer that does not flinch when facing off against prosecutors, and who grabs every advantage and opportunity to turn the tables in your favor, is exactly what you need from your attorney. Contact attorney Daniel Hilf of Hilf & Hilf, PLC immediately and hire a lawyer that will have your back. Attorney Hilf can make himself available in many instances upon short notice. Searching for the Best West Bloomfield Defense Lawyer That You Can Retain? When it comes to criminal accusations there is no place for errors, bad legal advice, unpreparedness, or anything short of a zealous legal defense. Hilf & Hilf, PLC attorney Daniel Hilf's commitment is to aggressively defend clients who are either rightfully or wrongfully accused of criminal offenses to gain the best outcome in courtrooms under the facts and circumstances of the allegation. Attorney Hilf is not here pass judgment or criticize, and solely wants help individuals who have to go to Court due to a bad experience in their lives and offer all possible legal solutions. Attorney Hilf's goal is to put an end to your court related manner in the best possible, least stressful, and most confidential way, to allow you to move forward with your life. A false accusation of a crime is a outrage that treats the innocent as criminal defendants. Those wrongfully accused need a legal advocate that will presume a client's innocence, and who will aggressively defend to overcome this awful court situation. It is clear that the criminal justice system has deep flaws. Without question innocent people are prosecuted in courts every day for a number of complex reasons, including: prejudice; bias; mistakes made by police officers; vendettas; false assumptions; persons targeted by police officers; lies and deception; and violations of Constitutional rights. Police officers jump to conclusions in their efforts to try and build a cases and solve crimes. Sometimes the hunch of a police officer is just plain wrong. Sometimes the police do not know what the truth is, and pick a side when confronted with two or more opposing stories. Attorney Daniel Hilf pledges that he will do everything within his power to prevent false convictions from occurring on his watch by working diligently on files. "Overcharging " is also a serious problem in courtrooms across Michigan. Overcharging occurs when a prosecutor decides to prosecute a criminal offense against a person that is more serious offense than what the actual truth is. For example, a person charged with malicious destruction of property might be improperly charged with a felony based upon a claim that the damages were more expensive than what occurred. It is not unheard of for a victim to pad repair bills due to greed, anger, and opportunity. Sometimes the battle for the criminal defense attorney is to achieve the right outcome based upon reality, and not based upon exaggerated facts or lies. On other occasions, the correct course of action is to fight for a complete acquittal. The decision as to whether or not to pursue a trial or to resolve the case through plea is a decision for the client to make, with advice provided from the lawyer after a careful, thorough, and complete analysis of all available information about the case. Persuasive advocacy, protecting client rights and futures, compassionate and caring legal representation, keeping the client informed and updated about the case status, and placing the case in the correct light, all are important factors of attorney Daniel Hilf's client based approach to cases. It is important to know your lawyer's capabilities before you enter into a retainer agreement. 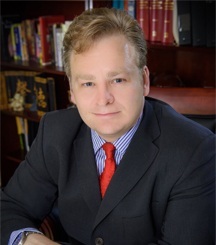 Your research will tell you that attorney Daniel Hilf has 20 plus years of effective criminal defense, has won awards for his legal advocacy, is highly rated by other lawyers and former clients, and has represented thousands of people during his career. Is a court appearance in your future? Do you have a case at the 48th District Court in Bloomfield Hills, Oakland County Circuit Court in Pontiac, Federal Court in Detroit, or another Michigan Court? The time is now to decide on your lawyer. Hilf & Hilf, PLC may be more affordable that you think. Payment plans and credit card payments may be of assistance to your efforts to retain a great lawyer. Contact Hilf & Hilf for a telephone consultation and to schedule an appointment.